Sorry for the slow updates today. Aynaijang CEO schedule since two days ago was so tight . I'm sorry once again! Yeah! 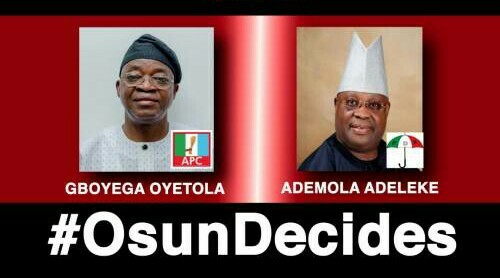 Here's the collation of results of the supplementary election for Osun governorship election is currently going on. The election was held in the seven polling units were elections were cancelled.